Shelby grew up on her family farm, Horseshoe E Charolais, at Kenaston, Sk. She is currently in her fourth year of the Bachelor of Science in Agribusiness degree program at the University of Saskatchewan. Shelby has participated in 13 CCYA conferences. This is her fourth year as a part of the National Board and second year as President. 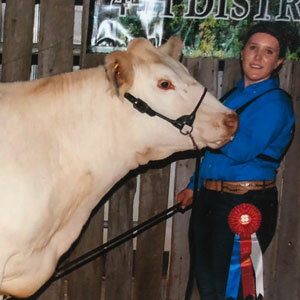 She is very involved with their cattle and grain farming operation, particularly on the cattle side of things, and enjoys showing cattle at various summer Junior shows and fall shows. 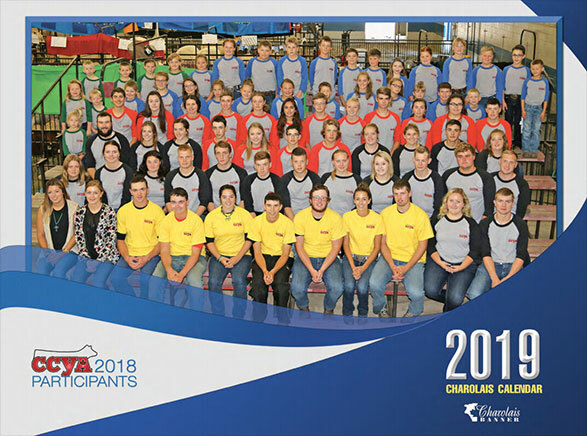 Shelby had the opportunity to attend the American International Junior Charolais Association show in Grand Island, Nebraska last summer along with 3 other board members representing the CCYA. Keegan and his family run C2 Charolais in La Rivière, MB. 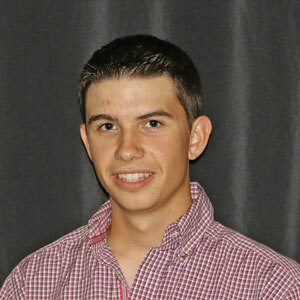 Keegan has been actively involved in 4-H and showing cattle for 11 years, and has attended 5 CCYA conferences to date. This is his fourth year on the National Board. Keegan is currently in his third year at Brandon University taking his Bachelor of Science degree. He enjoys hockey, baseball and showing cattle. 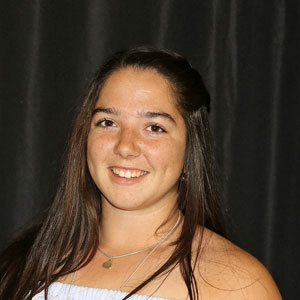 Raelynne Rosso is from Moose Jaw, SK where her family has about a 250 purebred and commercial Charolais cattle herd, Rosso Charolais. She has graduated from Lakeland College in Animal Science Technology. Raelynne has been a member of the CCYA since 2011. This is her second year on the National Board as secretary. Tyson Black is from Foresters Falls, Ontario. He farms with his parents under the name of Blackbern Farm. Tyson attends Grade 12 at Opeongo High School and plans on going to Lakeland College in Vermillion when he graduates. Since 2009, Tyson has attended the CCYA conference each year. Tyson enjoys farming, 4H and playing hockey. Reegan McLeod is from Claresholm, Alberta where her and her family grain farm and raise purebred Charolais cattle. She has been actively involved in 4-H and showing cattle for 9 years. 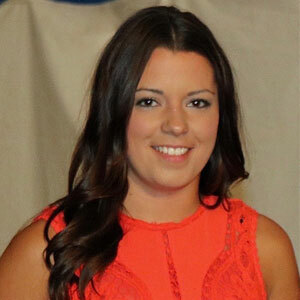 She is currently a student at the University of Saskatchewan taking her Bachelor of Science degree. She is looking forward to representing Alberta on the National Board. 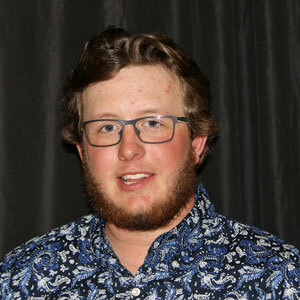 Bret Marshall is currently going to Olds College where he is taking Ag Management, and recently achieved his Meat cutting certificate. Bret attended his first CCYA conference in 2008 in Olds, AB. 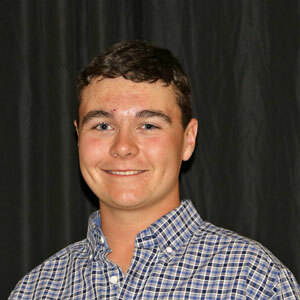 The following year, he joined 4-H and has loved being involved in the 4H program ever since. Bret plays football, and is involved in a multitude of other sports. Bret has competed in both the Calgary Stampede Junior Steer Classic and CCYA for a number of years, where he has made unforgettable memories. Bret is excited and honored to represent Alberta on the National board. Junior Charolais Association, University of Manitoba Stockman’s Judging Club, Faculty of Agriculture Student Organization and now CCYA National Board. She has been to seven CCYA conferences and looks forward to the upcoming conference in Saskatchewan and taking on a role with National Board. 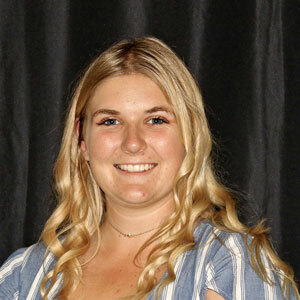 Lindsay has worked for two summers as an agronomy summer student with the Portage Co-op and will continue with agronomy once she returns from a six month work exchange where she will be working on a family dairy operation in New Zealand. 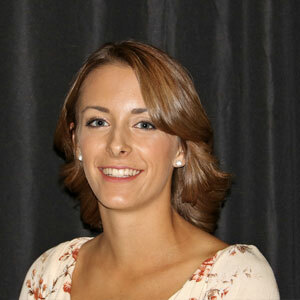 She is excited to stay involved in the farm and the beef industry as she furthers her career in agriculture. Bradley Fergus is from Orangeville, Ontario. This is his second year as an Ontario director for the Canadian Charolais Youth Association. Brad and his family have 30 purebred Charolais cows, Fergus Family Charolais. 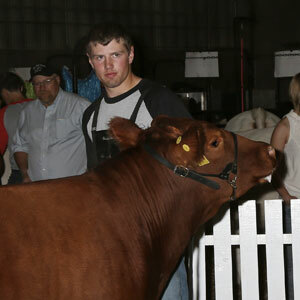 He shows cattle at many different local fairs and the Royal agricultural winter fair and junior shows. Brad is currently enrolled in an agricultural diploma program at the University of Guelph. He enjoys being involved in the Charolais breed and encourages many different cattle farmers to be involved in the breed as well. Brad enjoys helping out and being part of the Canadian Charolais Youth Association. Shae-Lynn grew up on the family farm, Horseshoe E Charolais, at Kenaston, Sk. She is now a Registered Nurse working out of Saskatoon, and remains involved in her family’s purebred Charolais operation. Shae-Lynn has been involved in the CCYA program for 16 years and is excited to remain involved with such an outstanding program.